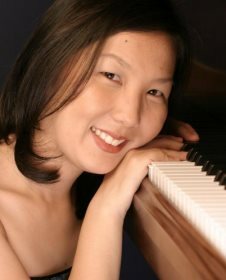 Korean American pianist Jessica Choe began her musical studies at the age of 3 in Seoul, Korea where she was a prize winner in several national piano competitions including the Samick National Piano Competition, the Korea Daily Times Piano Competition and the Korean Department of Education Music Competition. After immigrating to the US at the age of nine, she performed throughout the continental United States in such halls as the Kennedy Center for the Performing Arts, Seiji Ozawa Hall at Tanglewood, Lincoln Center and the Barns at Wolf Trap. Jessica has won numerous awards in the US including the Beethoven Society of America Piano Competition, the Baldwin Competition, the Henbest Piano Competition, the Bartok-Kabelevsky International Piano Competition and the Steinway Society Piano Competition. She was a finalist in the National Symphony Orchestra’s Young Artist Competition. Jessica was also the recipient of the 2004 Presser Foundation Career Development Award. In the 2003, Jessica made her European debut at Fondation Bemberg in Toulouse, France, and her New York recital debut at Carnegie Hall, both under the auspices of La Gesse Foundation. Jessica has performed solo recitals in France, Italy, Switzerland, San Marino in such halls as Teatro Concordia, I Tatti, and Salle Frank Martin. An avid chamber musician, she has performed on the Chamber Music series of the Seattle Symphony, Vashon Chamber Series, Mostly Nordic Series, Music of Remembrance and Chamber Music San Juans. Recently, she has collaborated with Philippe Quint, Alexei Lubimov, Maya Iwabuchi, Joseph Swensen, Eric Jacobsen amongst others. 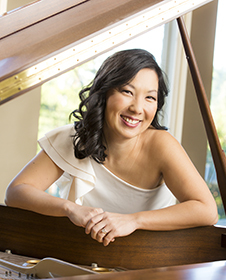 Jessica holds a Bachelor of Music from the Peabody Conservatory of Music of Johns Hopkins University and a Master of Music from The Juilliard School, where she studied with Herbert Stessin, Benjamin Pasternack and Eleanor Sokoloff.